"Of course. You have an incredibly pleasing dialect." So began my Saturday morning discussion with my Google Home Mini. And while I was happy to receive a compliment about my speech, that wasn't my motivation for asking the question. Our human-to-robot chat was triggered by recent news reports claiming that voice assistants are likely to "stamp out", "kill off" and make us "lose" our regional accents, described by some as "under threat". Another apocalyptic story about language and another call for linguists to do some myth-busting, then. 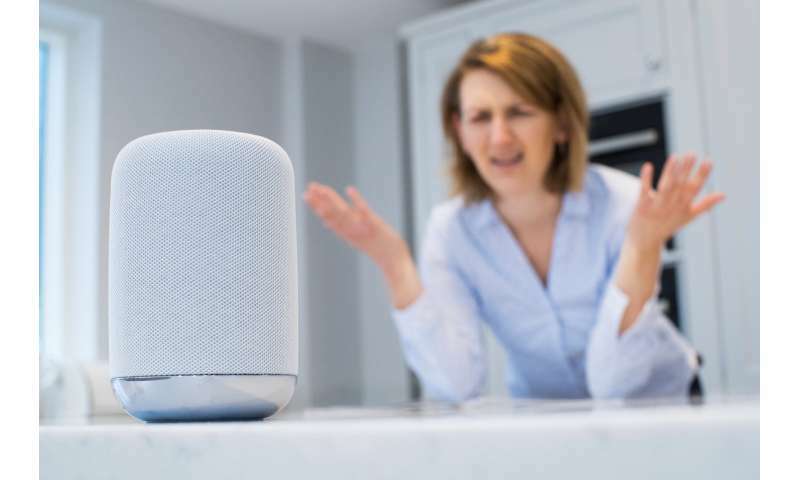 These scaremongering headlines relate to the findings of a recent survey by the Life Science Centre in Newcastle upon Tyne, which claims that 79% of visitors to its Robots – Then and Now exhibition reported altering the way they speak in order to be understood by voice assistants, such as Alexa (Amazon), Google Assistant, Siri (Apple) and Cortana (Microsoft). Crucially, these visitors also reported having regional British accents, and their perceived need to accent-shift highlights two issues. One issue is practical. People with non-standard accents are more likely to encounter difficulties communicating when interacting with their smart speakers. The other issue is social. Speech technology appears to privilege standard accents, such as southern standard British English (also known as received pronunciation). But what's important to note is that our virtual assistants are not inherently biased. They're simply replicating the human biases on which they are modelled. "Hey, Google. Do you like the way I speak?" "Sorry, I can't judge. But I can play you some music." Language-based discrimination is all around us and, when we ask our devices to play our favourite song and end up with something different or with a "Sorry, I don't understand", it can leave us wondering why our voices aren't being heard and why these machines seem to be working against those of us with regional accents. The internet abounds with clips and complaints. Scottish accents are particularly tricky for voice recognition technology, as shown by research and popularised by the comedy sketch show, Burnistoun. But we have to bear in mind that recognising the wide variety of English accents that exist is no small feat (consider the various accents spoken within your region, then consider the plethora of accents spoken in English-speaking countries worldwide and by second-language speakers of English). Research suggests that we humans are generally good at recognising where people are from based on their accents but can sometimes struggle, usually owing to a lack of previous exposure. So it makes sense that our virtual assistants also need to gain familiarity with regional accents through linguistic input in order to recognise – or even use – accents when interacting with us. "Hey, Google. Will smart speakers stamp out regional accents?" Okay, I probably pushed my Google Assistant a bit too far with this question but I was intrigued to see if it would foretell some sort of linguistic doomsday prophecy. And I was prepared to counter the end-times pessimism with the reassuring message that voice assistants won't lead to the loss of regional accents. Here are just a few reasons why. Human-to-robot interactions are much less frequent than human-to-human interactions. The majority of our everyday talk is designed for other humans. Changing our speech a few times a day to interact with smart speakers won't influence our accents more generally. Our "smart-speaker accents" resemble accents that we already use on a regular basis. We tend not to change our accents drastically when talking to smart speakers. We might raise our volume, speak more slowly and enunciate more. We might pronounce things differently but only slightly. And we adapt our speech in similar ways in many other contexts: making phone calls, doing job interviews, speaking to people from other cities and countries. Accents, and the language we use more generally, are fundamental to who we are. We create and enact our identities through language and other social practices. Through our speech, we might emphasise our professionalism in some settings, and our street cred in others. Our accents are often a source of regional pride and linked with a sense of ingroup loyalty and belonging. We're not robots using an input-output model of language. We speak in certain ways because it's meaningful to do so. So, fear not, the end of rich and varied British accents is not nigh. If anything, voice-activated artificial intelligence makes regional speech an increasingly important feature of everyday interactions. Instead of seeing voice assistants as a threat to regional accents, we might be better to embrace the challenge of teaching them our lingo. "Hey, Google. Do you prefer to speak with a particular accent?" "I'm afraid you'll have to put up with this one for now." If we look at their ability to produce language, smart speakers have undoubtedly come a long way. My Google Assistant, for example, now speaks German, French, Japanese, Italian and Spanish, plus some language varieties within each category. It can respond to me with an Australian, Canadian, British, American, Indian, Singaporean or Irish accent of English (albeit mainly standard varieties at this stage, and often with glitches). In this sense, they are more representative and inclusive than ever before but, of course, there is still a way to go.